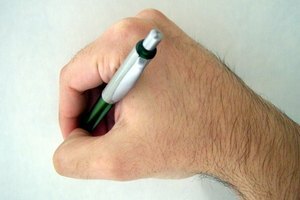 Use a computer instead of paper for easier revision. Children in the third grade are often more concerned with the grammatical accuracy of their writing than they are with the content. They are becoming more aware of spelling and grammar inconsistencies from a technical standpoint, and they are less concerned with improving the overall piece of writing. It is helpful for third-grade students to have an editing and revision checklist to use while checking their work. During the revision process, a third-grade student should be able to reread his own writing. He should be able to recognize redundant phrases and words. A student at this age should be comfortable receiving feedback and making writing decisions based on this feedback. He should also feel comfortable gathering new data and incorporating it into his writing. 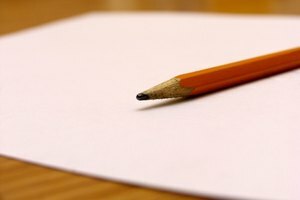 The student should make two or three drafts during this process, and each revision should contain new information to make the piece of writing better. A third-grade student can read through her paper to determine if the subject in general makes sense. She should ensure that she used descriptive terms to explain her topic, and that her writing (whether it's an essay or a story) has a clear beginning, middle and end. An editing checklist should contain helpful reminders for third graders as they check their writing for technical errors. 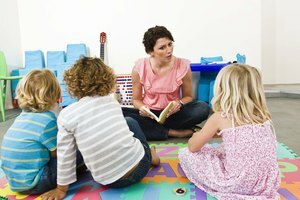 Is each sentence a complete sentence with a noun and a verb? Do any sentences begin with "and" or "then"? Does each sentence begin with a capital letter, and are proper nouns capitalized? Does each sentence end with proper punctuation? Students should circle any words they aren't sure are spelled correctly and then look them up in a dictionary. 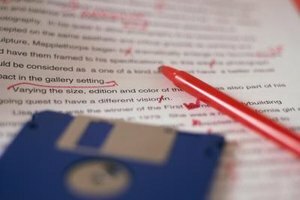 The editing process begins when a student has finished revising his paper and checks his writing for each item on the editing checklist. It may be helpful to use different colors of pencil or marker for each item. When he is finished editing his paper, he should make a final draft and submit it for peer review. During peer review, all of the students learn to share the editing experience with one another. This helps them see that grammar and storytelling are universal concepts, and that it is not only the teacher who will notice mistakes. Rittichier, Krystyna. "Editing & Revision Checklist for the Third Grade." Synonym, https://classroom.synonym.com/editing-revision-checklist-third-grade-7890173.html. Accessed 22 April 2019.